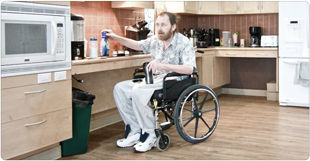 Your donation will help open doors to homes for people with limited mobility. Below are a few ways you can donate to Accessible Housing. 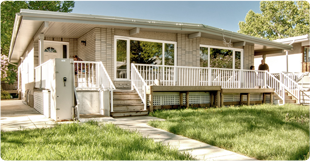 Accessible Housing uses CanadaHelps for all online donations. CanadaHelps is a trusted registered charity with over 17 years experience providing technology to connect donors and charities throughout Canada. 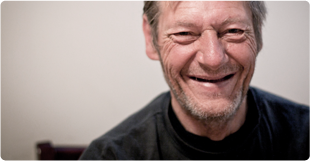 Monthly donations help sustain our programs and support our clients. Click here to set up monthly giving with CanadaHelps. Give a gift that gives back. This type of gift is a unique way to pay tribute to someone extraordinary in your life or to recognize a special occasion such as a birthday or anniversary. An acknowledgment of your gift will be sent to the person to whom you are paying tribute. If you would like, we can send a card with your personalized wishes. As the donor, you will receive a tax receipt. Please contact us for more information. You can donate your car, truck, RV, boat, motorbike, ATV or other vehicle to Accessible Housing through Donate A Car Canada. Free towing is offered in many areas across Canada, or you can drop off your vehicle to maximize your donation. Donate A Car Canada will look after everything else and Accessible Housing will provide you with a tax receipt for your donation. Contact us and share your event idea. We will be in touch quickly. Our team will help you with any event questions you may have and help promote your event on social media and our News & Events page. Host your event! Have a great time connecting with community and making a difference. We are a federally registered charity #10668-2032-RR0001. Accessible Housing fundraises to support a variety of programs, services and initiatives for people with limited mobility. For information on the impact of your contribution, please contact our Director of Development at info@accessiblehousing.ca or 403-282-1872.